City of London Sinfonia is grateful for support from trusts, foundations and statutory bodies which enable us the Orchestra to perform moving and inspiring music on the concert stage and in the community. If you are interested in finding out how your charitable trust can support our work, please contact our Development Manager, Zak Hulstrom, on 020 3096 0081 or email Zak. 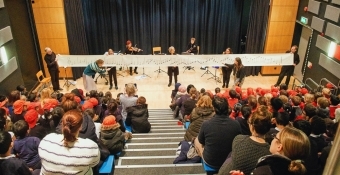 In 2018-19, M&G Investments and the Boris Karloff Charitable Foundation are supporting us, so we can reduce ticket prices and make it easier for young people (aged 16-25 and students) to attend our concerts in contemporary venues, helping us cultivate young people's interest in classical music. The Barbara Ward Children's Foundation is helping us bring music into the lives of children in hospital, with interactive music-making and educational concerts, so that no one is excluded from experiencing the positive, healing benefits of making music. 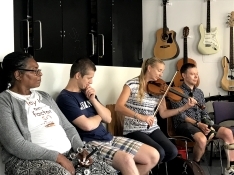 The Dunhill Medical Trust and the Linbury Trust enables us to perform concerts in North London care homes and interact with residents, many of whom live with dementia, to enhance their wellbeing and allow them to engage with the transformative power of music. 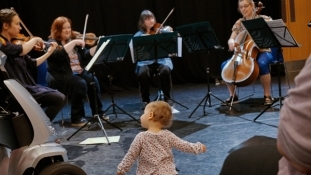 All of our work in health and wellbeing settings is underpinned by the MariaMarina Foundation, who believe in our ability to make classical music more accessible to children and adults in hospitals, hospices and care homes across London.